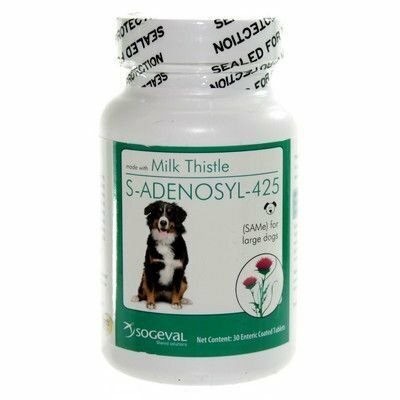 S-Adenosyl-425 (SAMe) is recommended to improve hepatic glutathione levels to help maintain and protect liver function in large dogs. 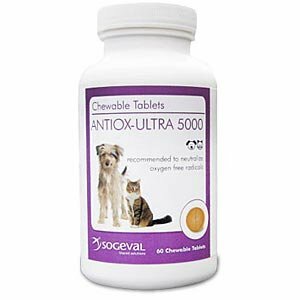 Enteric-coated to effectively deliver S-Adenosylmethionine 1,4 butanedisulfonate (SAMe) to the small intestine for proper absorption. Contains 80 mg of milk thistle. 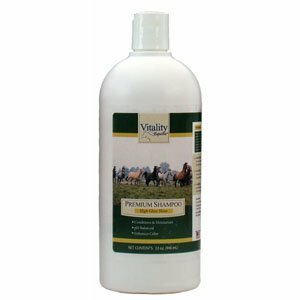 Sogeval Chlorhexidine 4% Shampoo For Dogs, Cats & Horses, 8 oz.